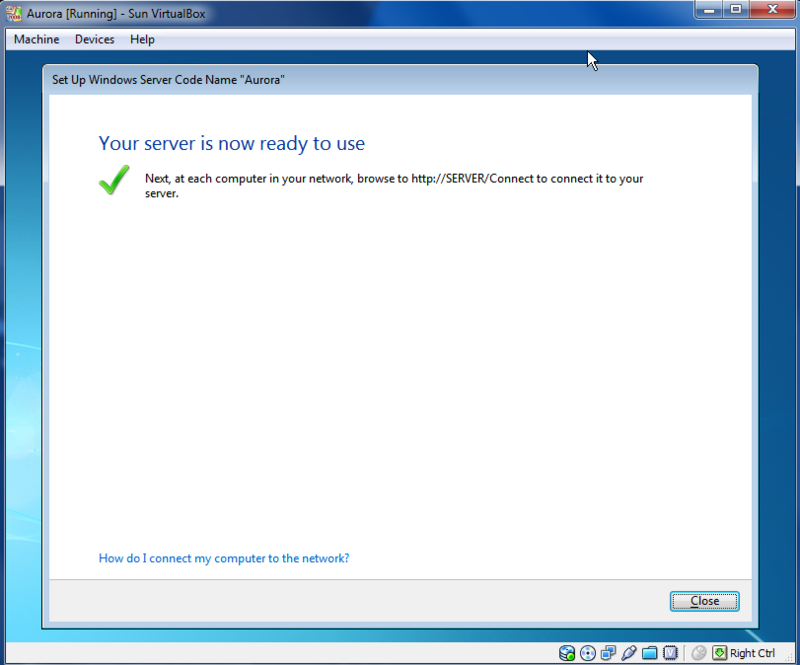 Yesterday I signed up to beta test Windows Server “Aurora”. Here’s a sneak peak of the Aurora Dashboard. 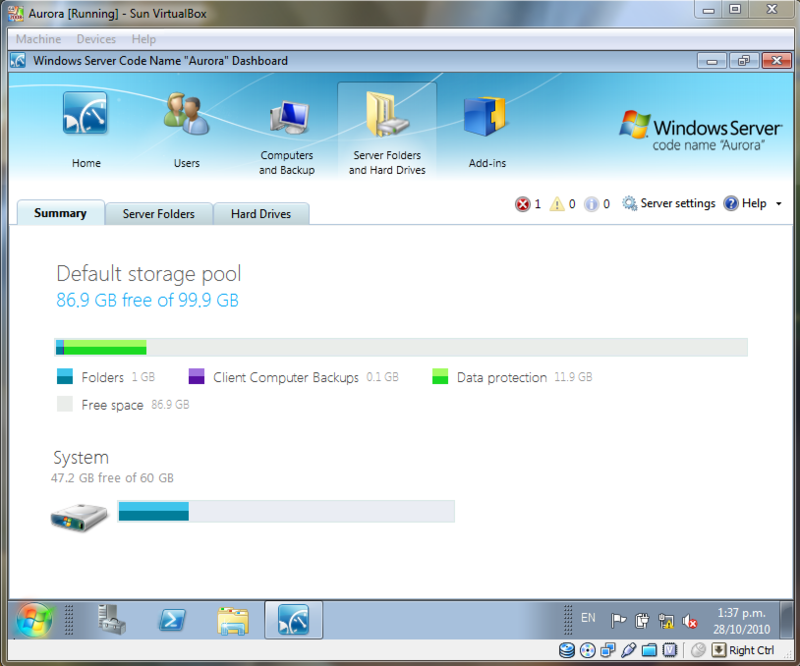 Basic install requirements, 2GB RAM and 160GB of disk. Installation is a single 4.5GB ISO with 2 additional supporting ISO’s. Installation took approximately an hour to get to the initial screen with additional time required to configure shares, connect PC’s and setup user accounts. The BPOS integration is not active yet, but the beta does provide a very good insight into Microsoft’s vision for Small Business Server. 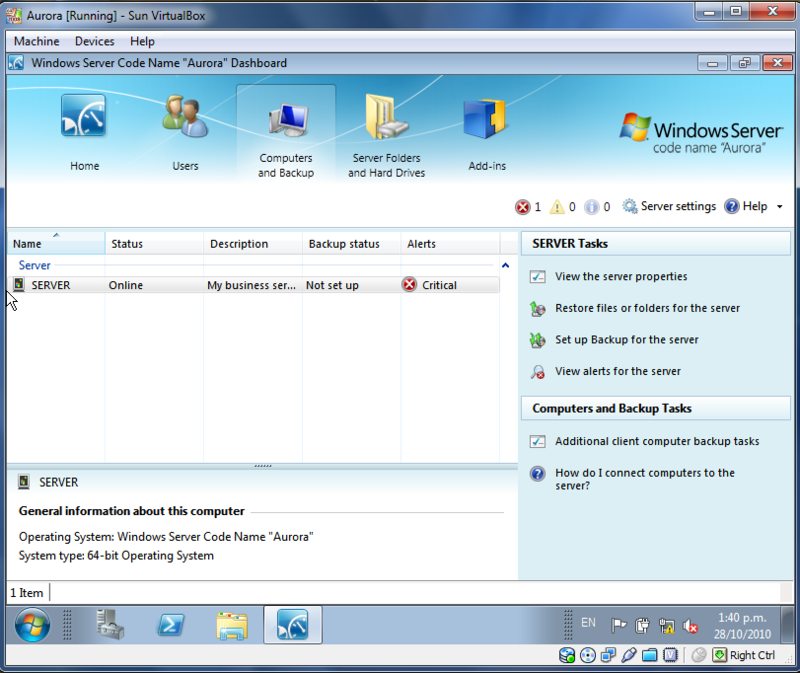 In September, Microsoft released public betas of the next generation Small Business Server solutions that will replace SBS 2008 when released in 2011. Small Business Server 7 is a traditional on premise solution supporting up to 75 users, while “Aurora” supports up to 25 users and uses “Cloud” services for some functionality. 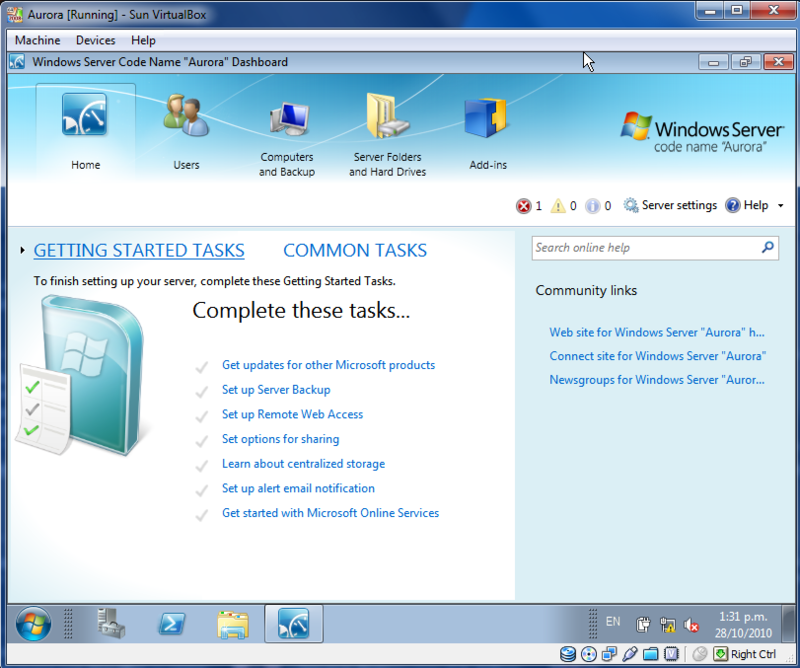 SBS 7 builds on SBS 2008 and is based on Windows 2008 R2 with Exchange 2010, Sharepoint 2010 Foundation being the primary features. “Aurora” combines an onsite server providing Domain Controller, File and Print functionality and integrated access to Microsoft BPOS (Exchange, Sharepoint and CRM). 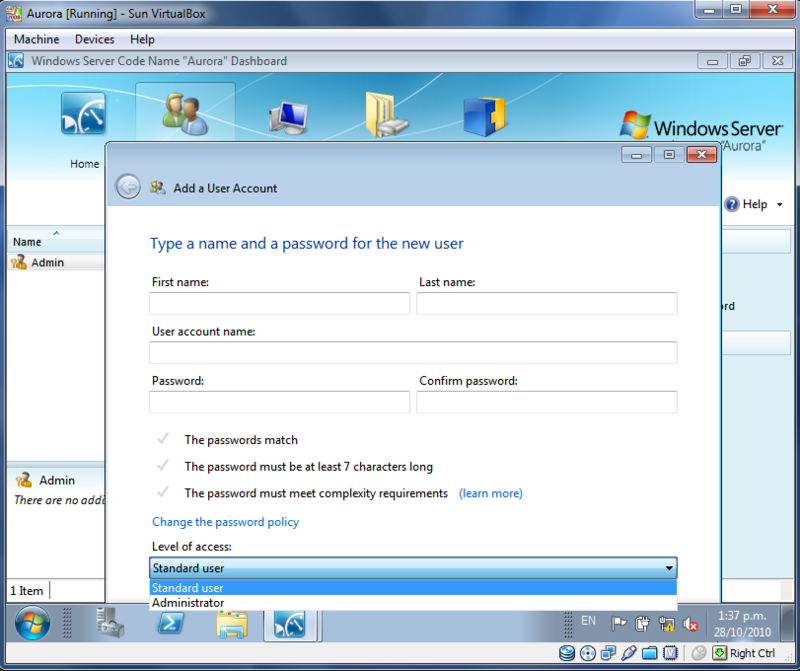 Both solutions feature a streamlined installation process, backup tools and centralised management of user accounts and client devices.